A rum drink is mixed in historic Louisbourg. 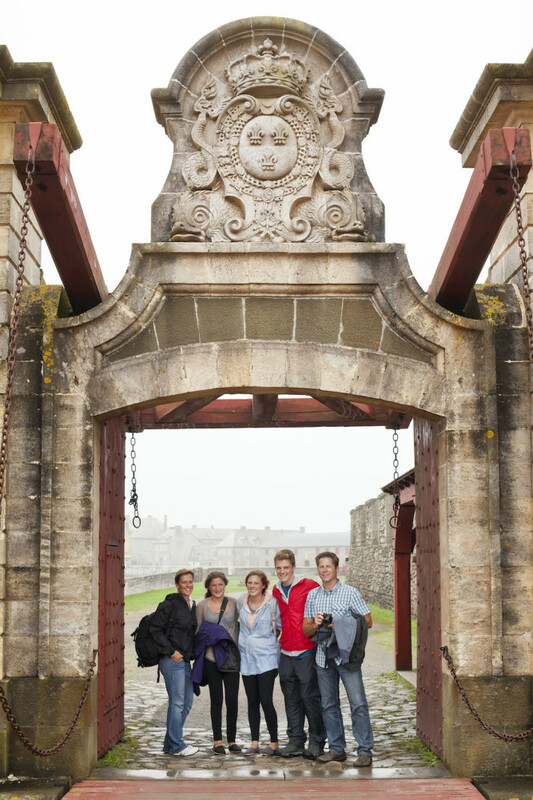 Travellers at a gate at historic Fortress Louisbourg. 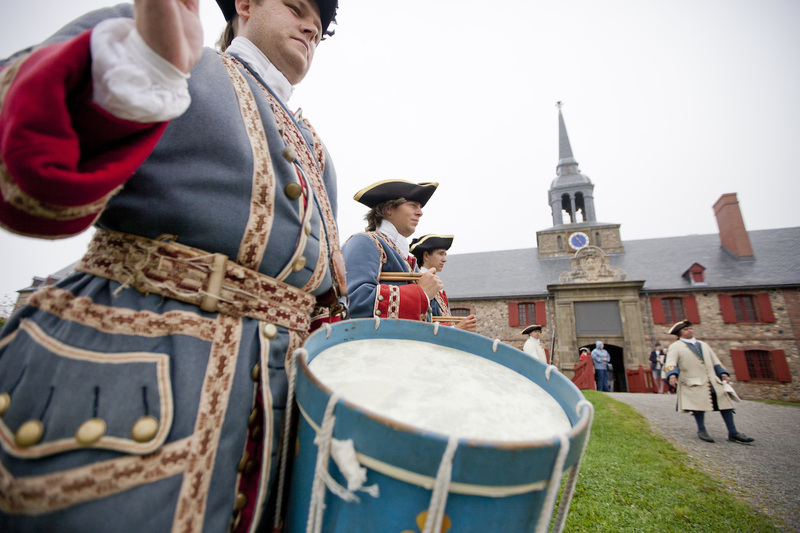 'French soldiers' beat a rhythm at Fortress Louisbourg. 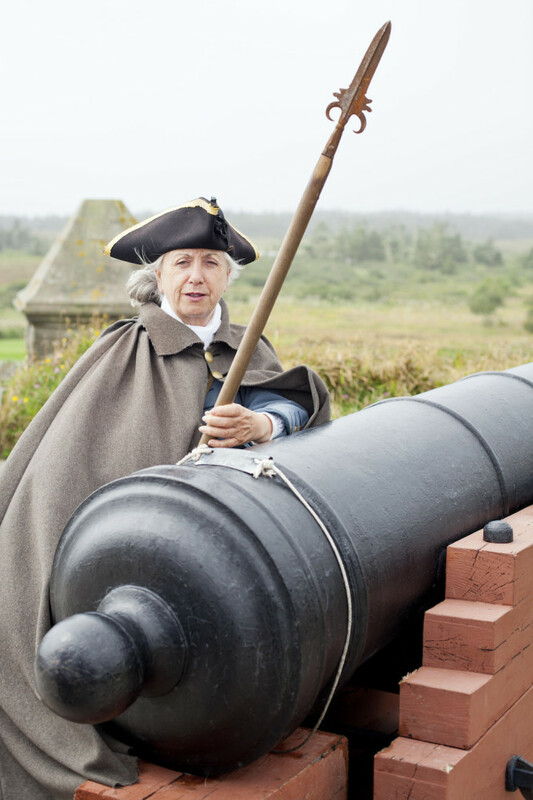 A man tends to a cannon at Fortress Louisbourg. 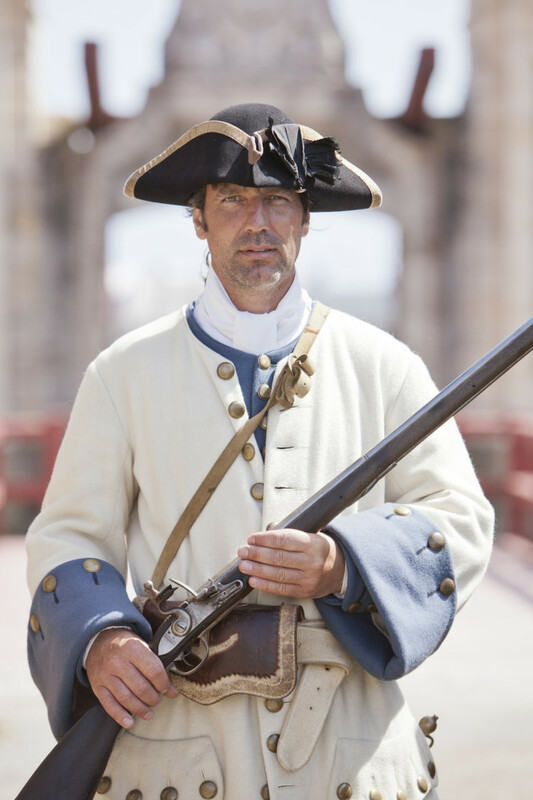 A 'French soldier' at Fortress Louisbourg. 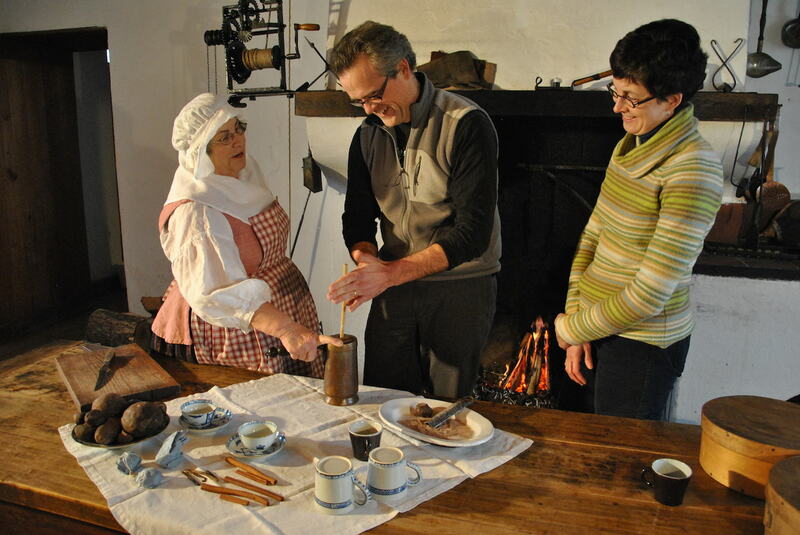 Drink your way back in time in ye olde New France. There’s a tiny part of Nova Scotia that has held out against the advancing decades for nigh on three centuries now, and harkens back to a time when the greatest exports in the south-eastern part of Canada (then called New France) were not hulking hockey players and magnificent hipster beards, but fiery, delicious rum. The Hôtel de la Marine, in the coastal city of Louisbourg, is the epicentre of that holdout, offering travellers an opportunity to learn how rum was originally made and how the beverage managed to hold considerable political and economic sway. In an undoubted highlight of the experience, taste how New France’s elite used to drink their rum by slugging back a dram or two of the hotel’s famous rum punch. To complete your journey through time, spend several more immersive hours in the wonderfully recreated Fortress of Louisbourg, populated by wandering actors in accurate period dress, and explore the battle-hardened ramparts with its ancient cannon still vigilantly guarding a now peaceful ocean approach to the island. Hôtel de la Marine inside the Fortress of Louisbourg (fortressoflouisbourg.ca) runs the ‘Rum: The Drink That Sugar Made’ experience daily at 3pm from July to September. It’s included in Adventure World’s Atlantic Charm trip. More information here. 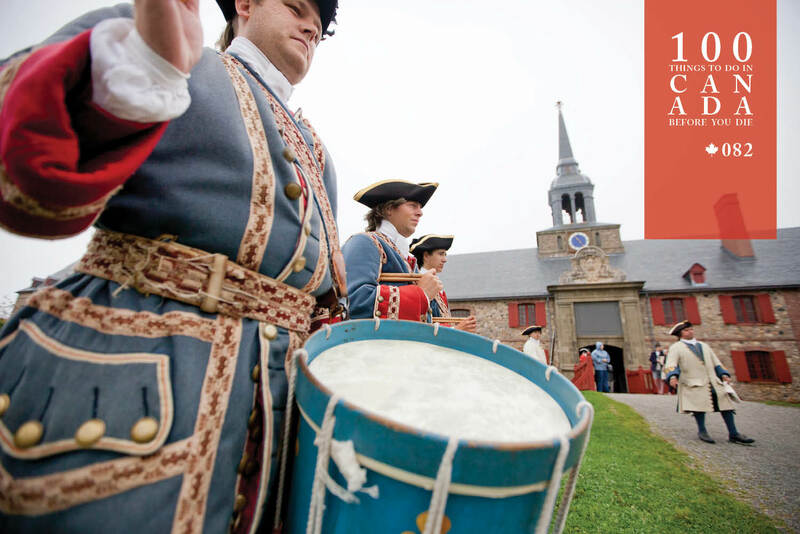 The Hôtel de la Marine lies along the Quay near the Frédéric Gate inside the National Historic Site of the Fortress of Louisbourg, on Breton Island at Nova Scotia’s north-eastern tip.